Fall is an excellent time to look into improvements in your HVAC system. With winter on the way and cold weather already here, you’re going to be depending upon reliable heating day in and day out. That means now is the time to correct any problems with your system and look for ways to improve its performance. And believe it or not, some improvements rest in areas other than the HVAC system itself. 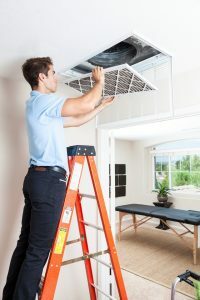 In particular, an electronic air purifier can be just the thing you need to help your system do its best, as well as provide a number of other benefits in the bargain. A trained technician can easily install one in your home before winter arrives.